I love wearing shirts – they are light, comfortable and perfect for the up-and-coming-ever-so-unpredictable British spring. Unsurprisingly, my ironing basket does not share my love – it’s almost always full (all year), and overflows during spring and summer. 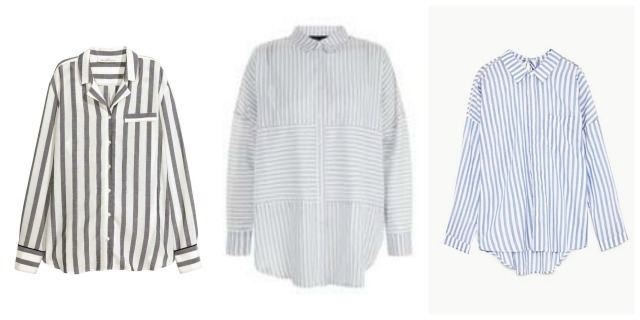 I have spotted so many gorgeous striped shirts recently, and thought I would do a little round up of my favourites in preparation for spring. 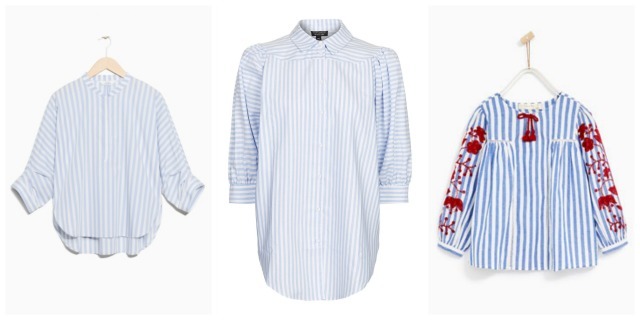 I have a gap in my wardrobe for the perfect striped shirt. I’ve been waiting for one, the perfect one. One that comes with no ifs or buts, and just fits really well. 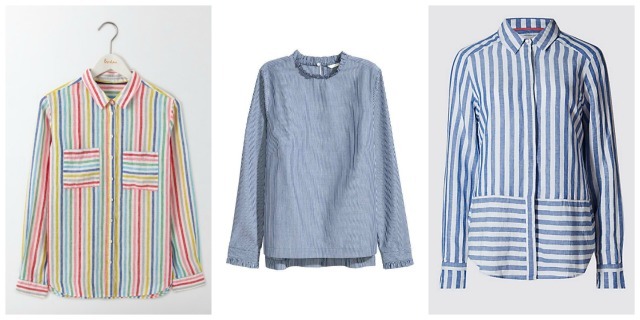 Most of these are classic blue and white, all of them are cotton, yet they are all so different – puffed sleeves, vertical stripes, open collars, frills and embroidery. So much to love. Which one would you go for? I really can’t decide.